Business executives and sales managers frequently bemoan 80/20 performance on their sales teams, where approximately 80 percent of sales are produced by approximately 20 percent of salespeople. Of course, the ratio is not always 80/20. Sometimes it is 75/25, 70/30, 60/40, or even 90/10. However, the situation the ratio describes is always the same: the vast majority of salespeople produce a fraction of what top performers on the very same sales teams produce. What are the reasons behind these performance disparities? What is it about top sales performers that enable them to achieve superior results? Can anyone achieve top performance in sales? Certainly there are some sales skills that anyone can learn. For example, it’s easy to teach how to ask reflective questions. Reflective questions are questions that begin with who, what, when, where, why and how. If you ask reflective questions instead of questions that can be answered with yes or no, prospects usually share more information with you. This increases your chances of uncovering "pain points" that can eventually lead to sales. You can learn how to ask reflective questions by participating in a simple role play. In this role play, you'll play the salesperson and I'll play the prospect. Every time you ask me a yes or no question, I'll answer "no." Getting stonewalled with a bunch of "no" answers will break you of the yes/no questioning habit pretty quickly! Other sales skills are tougher to learn. A good example is teaching salespeople how to ask questions and follow the thread in the answers. To explain this concept, let's use another role play. In this role play, you'll ask me reflective questions. I'll respond with answers that contain some "pain points". If you recognize the pain points and drill down into them deeply enough (by asking additional questions), you'll eventually be able to "sell" me. Do you know what my experience has been with this role play? Some salespeople learn how to "follow the thread" easily. Others struggle, but they eventually learn how to do it. However, some just never get it, any matter how hard they try! Why can some people learn this​ critical skill, but others can't? I struggled with this question for 14 years. I used to believe that anyone could succeed at anything if they wanted it badly enough and were willing to work hard enough. However, my experience with the "follow the thread" role play made me start to question that belief. As I continued reading and researching over the years, I eventually uncovered two pieces of information that really opened my eyes. In their book, "Now, Discover Your Strengths," Marcus Buckingham and Donald Clifton report that great managers and average managers have different expectations for their employees. According to Buckingham and Clifton, average managers assume that "each person can learn to be competent in almost anything" while great managers assume that "each person's talents are enduring and unique". Most sales books and training programs seem to take the average manager point of view. In other words, they seem to assume that anyone can learn how to sell. Their unspoken promise is that all you have to do is invest enough time, effort and money to learn the skills they teach. If you put the time and effort, you will learn the skills and eventually succeed in sales. 55% of the people earning their living in sales should be doing something else. How can you identify whether salespeople have the talents required to succeed in your company's sales positions? One reason why companies suffer from 80/20 performance is because their processes for hiring, training and managing salespeople rely almost entirely upon subjective information. After all, what are resumes? They are an individual's subjective portrayal of their capabilities and experiences. What occurs during an interview? Interviewees attempt to package their responses to questions in a manner that will make the best impression. Meanwhile, interviewers are forming personal opinions about candidates' qualifications for the position. I'm not suggesting that subjective information is useless. Subjective information is a valid and valuable component of any "people decision". However, if decisions based solely upon subjective information produce an undesirable result 80 percent of the time, doesn't it make sense to consider making a change? One way to introduce objective information into sales hiring and coaching processes is through use of specialized sales assessment tests. I'm not referring to personality or behavioral tests like Myers-Briggs or DISC. Those types of tools are useful for learning how to communicate more effectively with someone, and may provide some insights into an individual's motivations. However, they are not effective for predicting whether or not someone will succeed in sales. The specialized sales assessment tests that I'm referring to identify how quickly an individual learns and how good they are at "reasoning". Sales Drive: Does the individual enjoy presenting, persuading, negotiating, and motivating others? How much do they enjoy these activities? Emotional Toughness: How rapidly does the individual rebound from rejection? Do they learn from their experiences and move on quickly? Or, do they suffer a sustained reduction in productivity? Reasoning Ability: Does the individual ask good questions? Can they dissect answers and pick out the pieces that will help advance the conversation toward a desired end result? Service Drive: How friendly and agreeable is the individual? How interested are they in building relationships and helping others? Assertiveness: How self-assured is the individual? How effective are they at convincing others to take action? Attitude: How positive is the individual's attitude? Do they perceive a glass to be half-empty or half-full? Communication Skills: How precisely does the individual communicate, both verbally and in writing? Are their communications clear and effective? Competitiveness: How competitive is the individual? How does their competitiveness manifest itself? Energy: How energetic is the individual? Are they always "on the go", or do they need to be prodded into action? Independence: How readily does the individual accept direction from others? Learning Rate: How rapidly does the individual learn new information? What styles of learning are most productive for them? Tolerance for Administration: How willing is the individual to perform administrative activities? How much attention do they pay to details? Are they a Hunter or a Farmer? Do they prefer to pursue new business, or do they prefer to manage existing customer relationships? Or, are they capable of performing both functions effectively? Are they Internally or Externally motivated? Internally motivated salespeople are capable of directing their own activities. Externally motivated salespeople require frequent direction and support from their manager in order to be consistently effective. How willing are they to comply with Administrative Requirements? This may include updating records in your company's customer relationship management (CRM) system and providing timely and accurate forecasts and opportunity pipeline updates. Will they be a good Team Member? Will they work cooperatively with their fellow sales team members, as well as other departments? How can specialized sales assessment tests help existing salespeople who are struggling? They can help in two specific ways. First, they can determine which salespeople should be in sales. If an individual doesn't have the talents required for success in your company's sales job, there may be other roles in your organization where their talents and interests can be applied to mutual benefit. If there aren't any such positions available, the kindest thing you can do is to let them go. How can firing someone be kind? Because it is NO fun to struggle in a job that is a poor fit. If you share the assessment test results with these individuals, they can gain insights into their strongest talents and interests. The sooner they can migrate into roles that are compatible with their talents and interests, the sooner they will reap the benefits of improved productivity, motivation, and job satisfaction. Two fictitious salespeople, Beth and Bill, work for the same company. Beth is weak in Sales Drive, which makes her reluctant to ask for orders. Bill is weak in Emotional Toughness, which makes him sensitive to rejection and limits his prospecting effectiveness. If Beth and Bill go through the same sales skills training course, how much improvement in sales performance should they expect to see? Beth would benefit most from attending an assertiveness training class. She also needs coaching to help her recognize that failing to ask for orders denies her customers valuable solutions to costly business problems. Bill needs to learn to not take rejection personally. He might also benefit from attending a class that teaches positive thinking and other motivational techniques. 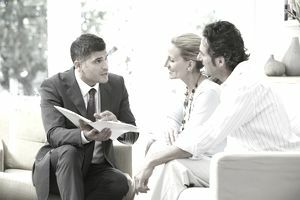 Unfortunately, unless these two salespeople are made aware of their unique training needs, and provided with targeted training to address them, there isn't much reason to expect their performance to improve. Many companies struggle with "80/20" performance disparities in their sales organizations. These disparities usually result from an over-reliance on subjective information when making salesperson hiring and coaching decisions. The proposed solution is to add objective information gathered via specialized sales assessment tests to the "people decision" process. This one change can help companies increase the proportion of top performers on their sales teams and improve the performance of existing sales team members.